Since 1982, Quality Overhead Door has provided garage doors in Williams County, Ohio, as well as an array of other products for homes and businesses. In addition to garage doors and openers, we also offer fireplaces, entry doors, storm doors and awnings. No matter what product or service you need, you’ll find that Quality Overhead Door always emphasizes personalized care. We want to gain a deep understanding of your needs, and then offer the products and execute the services that will satisfy those needs. At Quality Overhead Door, we choose to offer a huge selection of products because that’s the best way to ensure you get the perfect garage door for your home. 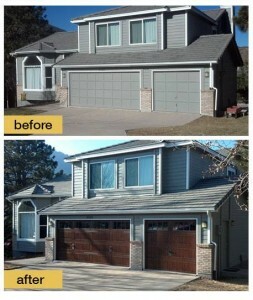 A new garage door should complement your existing architecture and enhance your home’s curb appeal. No off-the-shelf, generic product will do. Browse through our vast selection and choose from among a variety of brands, styles, designs, materials and more. 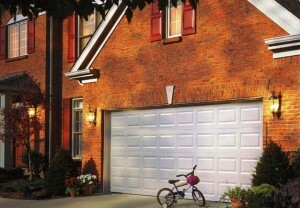 Further customize your new garage door by adding optional hardware, windows or insulation. We strive to make garage door installation in Williams County, Ohio as stress free as possible. We do this by offering free estimates on new garage doors and garage door openers before work begins as well as by offering warranties on parts and labor once work is complete. You should have as much information as possible before making an investment in a new garage door or opener, and you should have as much protection as possible after installation of a new garage door or opener. We also offer the best in garage door repair in Williams County, Ohio. Our team of experienced technicians can work on doors and openers of any make or model. They are friendly, knowledgeable and helpful. They quickly diagnose issues after arriving at your home, and they walk you through your options and make recommendations on the best course of action. Once you’ve decided what’s best for your garage and home, these technicians work quickly to complete the repair service. Choose Quality Overhead Door for residential garage doors and openers plus a whole lot more. We even carry a wide selection of commercial garage doors for Williams County, Ohio businesses. This selection of commercial products includes fire doors, sectional doors, hollow metal doors, high-speed doors, dock equipment, mega doors, pole barn doors, fabric doors, wash bay doors and much more. When you need garage doors and other products for homes and businesses in Northwest Ohio communities, look no further than Quality Overhead Door. For more than 30 years, we’ve been offering high-quality products and exceptional customer service to Toledo-area home and business owners. It’s our dedication to quality that’s helped us earn the Angie’s List Super Service Award and an A+ rating from the Better Business Bureau. Choose Quality Overhead Door for the best in garage doors in Williams County, Ohio. Contact us today and learn more about our services and products.